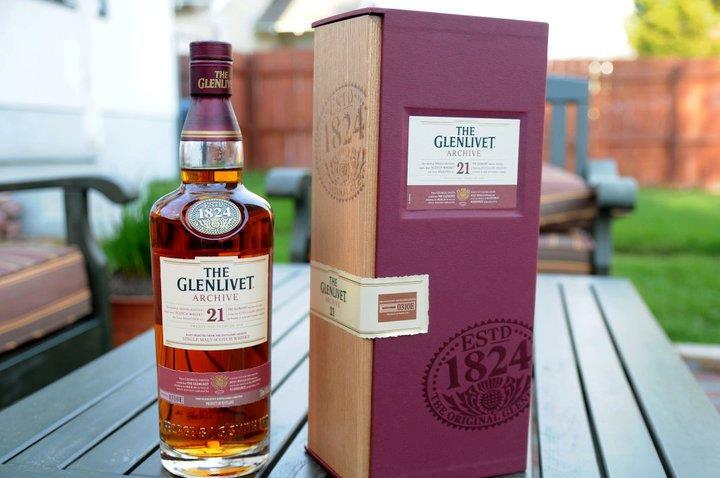 He showed up with a large, wooden box with an engraving proudly announcing Glenlivet 21yr Archive Single Malt. I read somewhere awhile back in the days of my innocenct whisky youth that once Scotch whisky is aged past a certain point, you run the risk of over oaking, so to speak. It seems quite obvious as I write this, and probably to you as well, but one must keep this in mind when you peruse the 18, 21, 25 year old Scotches. In our Golden Age, one might be tempted to drop many hundreds of dollars on a pretty bottle that may just end up tasting like liquid oak. Maybe that’s your thing, I don’t know. Don’t get me wrong, there are ways to get around the issue through some clever warehousing and properly balancing 2nd or even 3rd refill casks, and when you find a bottle that magisterially balances long oak aging with complexity of flavor, it can be a real treat to taste something that spent a couple decades in an oak barrel. Our review today is for Glenlivet’s 21yr Archive Single Malt Scotch. This is an easy to find malt, and it had a fairly reasonable price tag of about $120 at the time we tried it. Good luck finding it for that cheap now. The special treat here is that “Archive” contains whisky ranging from 21 to up to 40 years old aged in ex-sherry, ex-bourbon, and even French oak. On to it…. Nose – Amazing. Dried fruit, big oak and sherry. Intense. Vanilla and toffee underneath. Glenlivet floral visits occasionally. Caramelized oak. Taste – Deep oak, fruit punches, thick. Finish – Long, intense, lingering. Complex all around. Comment – Nothing subtle here. Quite the experience. 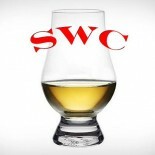 What we all want Scotch to be. You’ll be disappointed when the glass empties.